Writing Nonfiction: An Easier Route to Becoming a Professional Writer? 1. The market for nonfiction writing is huge. The demand for good nonfiction outstrips the demand for fiction by a wide margin. For most people, fiction is something they read strictly for pleasure. Nonfiction is something people must also read for work, school, or to manage their lives. It's non-optional, and that means there's a lot more of it. To take an obvious example: the Internet today consists of over 47 billion pages. 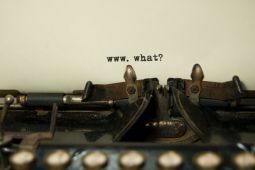 The vast majority of websites offer information -- nonfiction, in other words. It takes writers to put that information in a format that meets the public's need for palatable facts, analysis, and ideas. And that's not even counting traditional markets such as newspapers, magazines, nonfiction books, technical writing, etc. The human thirst for more up-to-date information is constantly growing, which means the need for good nonfiction writers is equally huge. If you are looking for ways to earn a living as a professional writer, it would be a mistake to overlook the market for nonfiction. 2. It's easier to write nonfiction than fiction. I'm not trying to devalue nonfiction writers. Both fiction and nonfiction writers require strong language skills and creativity. Both require the ability to connect with a reader. And both require the ability to take a reader on an intellectual and emotional journey that will lead them to new ways of understanding the world or even change the decisions they make in their lives. But it cannot be denied that writing nonfiction is easier than writing fiction. Fiction writers need a highly developed imagination in order to create imaginary worlds that feel authentic, populate them with imaginary people as complex as real ones, and invent chains of events that will determine those people's destiny. Nonfiction writers have the advantage of describing the real world, even if their perspective is subjective. Writing nonfiction, especially for a general audience, takes a different type of skill. It requires the ability to explain things, to take evidence and concepts, no matter how complex, and express them in a way that readers will find engaging. It's about finding a way to serve the needs of any audience -- regardless of age, education, or cultural background. Nonetheless, I personally believe that, while not every nonfiction writer can become a novelist, any good fiction writer can learn to write good nonfiction. 3. Writing nonfiction gives you an excuse to learn about different subjects. For a lot of writers, the biggest challenge in life is to avoid boredom. We write because we want our minds to be occupied with interesting ideas, people , places, etc. Being a nonfiction writer gives you the opportunity to learn about any subject that interests you in far more depth than the average person. It means keeping your mind occupied with new information and ideas, which can be an exhilarating and rewarding way to live. Besides, the research you must do to write nonfiction can be a source of ideas and facts that may eventually enrich your fiction writing as well. 4. Maybe you just want a way to make money on the side. It can be tough earning a living as a fiction writer. So while you're working on your first novel, you may want a way to make a little extra money doing something you're good at -- such as writing. Lots of people freelance as nonfiction writers while holding down a day job or working on their fiction. It's another way to use a skill you already possess. 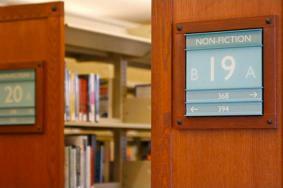 The links below will take you to articles on opportunities to make a career writing nonfiction. I won't spend a lot of time on mechanics (grammar, spelling, etc.) because I assume that if you're serious about writing, you will master these on your own. Instead, I'll stick with what I think will be most helpful. Rather than write for magazines, discover how to make a stable, long-term income by writing articles for your own blog or website. Find out the 4 biggest nonfiction topics to write about, and what else you need to write a bestselling book. 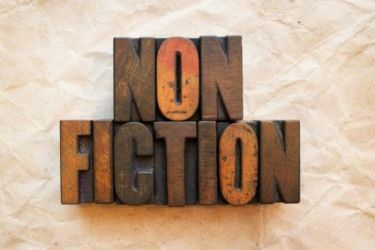 When writing nonfiction, the key is to write a proposal (and a sample chapter or two) and get a publishing contract before you've finished the manuscript. Here's how.